Every Christmas we make a set of ornaments together as a family. It’s one of our “Countdown to Christmas” activities. This year we used our Sweet Birds Coloring page and made a trio of bird to flutter in our tree. 1. Cover your dough with plastic wrap and use the rolling pin to flatten the dough until it is between 1/4 and 1/2 an inch thick. We used the plastic wrap to help keep our ornaments looking smooth and it made rolling easier for small hands. 2. 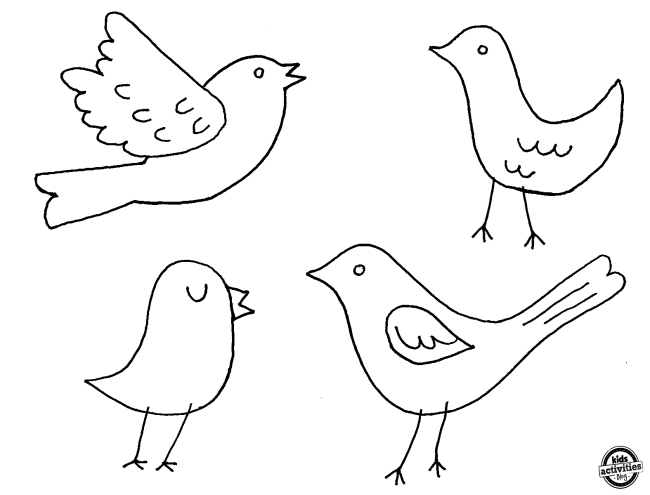 Use your coloring page and trace the bird images into the dough. Lift the sheet and then, Mom, retrace the lines with a sharp knife. You should be left with the outlines of your birds. 3. Poke the straw into the dough for the birds “eyes” – the eyes will double as the spot to tie the ribbon onto the ornaments once they are dry. 4. 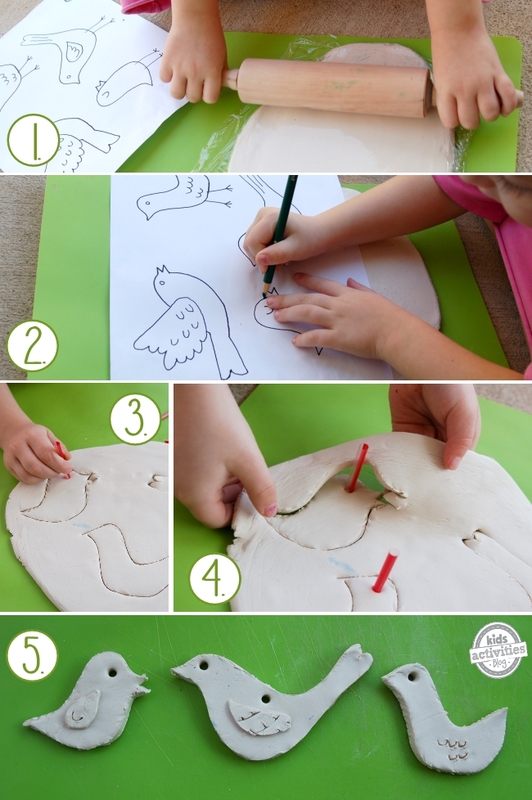 Carefully lift the dough away from the outlines of the birds. 5. Let the birds air dry for 48 hours, flipping them a couple of times a day, so that they dry fully and evenly. 6. Paint or seal with clear gloss – so they can live to next Christmas! 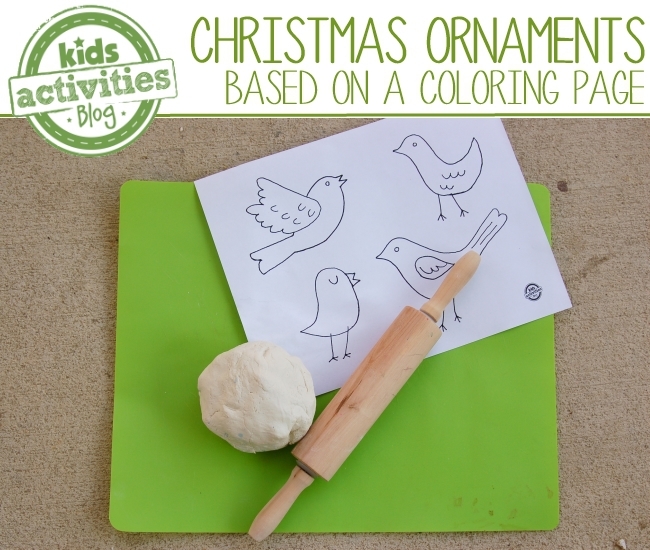 Above is the coloring page that we used to create our bird ornaments (click on the photo above to print). I bet you can use the same concept with numerous other fun coloring pages. What a fantastic idea, Pinning it! That turned out beautifully! We love creating with air dry clay too. Thanks for sharing with Afterschool! What a great idea to use coloring page pictures as templates. Getting ideas for other things too! Thanks for being so creative! Merry Christmas!